PROTHERM, LLC offers energy efficient electric infrared ovens for use with Chain On Edge or Spindle conveyors. We can construct or install a spindle conveyor through the oven, or more commonly provide an insulated heated chamber to mount over an existing conveyor. 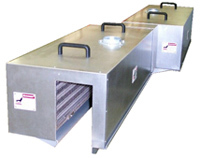 Spindle ovens are typically used for processing small parts in the finishing industry. Protherm, LLC medium wavelength IR heaters are ideally suited for this process. 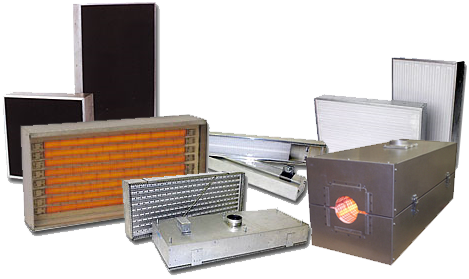 Our environmentally friendly heaters provide an unmatched balance of quality, high heat output, controllability, fast response time, and efficient heat transfer. They can be precisely controlled, zoned, and arranged in the oven to direct the infrared energy to the part where it is needed, saving you energy dollars. PROTHERM, LLC ovens and control panels are built to be installed quickly, with a minimum of field wiring required. They are completely factory assembled, set up and tested prior to shipment to assure a simple trouble free start up. We welcome the opportunity to review your heating process, so please feel free to contact our sales engineers so we can help you start saving money.